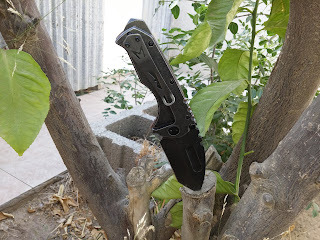 Best Chinese Knives: Medford Praetorian Style Knife - Awesome hard use knife for the fraction of the cost of the original. Medford Praetorian Style Knife - Awesome hard use knife for the fraction of the cost of the original. Just received my knife - the brown G10 model. First impressions are great - the knife is very solid, no bladeplay in any direction, has decent action right out of the box and is significantly lighter than the all-metal model (thus has good balance). But what surprised me the most, is the fact that it is very sharp right out of the box. 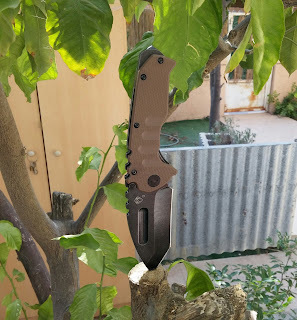 If you search for a tough knife that can withstand hard use for under 20$ - this one is for you.